The D55140 is DeWalt’s entry into the crowded ultra portable air compressor field. The DeWalt D55140 is intended for small projects around the house and for use with light duty nail guns. DeWalt has a reputation of bringing out high quality power tools and this unit shows promise. The price and quality are both good and this little compressor is easy to carry around the garage and to any room in the house. Weighing in at just 24 pounds, the DeWalt D55140 air compressor goes where most compressors can’t. It is only 9 inches tall so you can store it almost anywhere. It has a 1 gallon tank which is fine for the types of jobs it’s intended for. The D55140 is well designed including nifty features like an integrated cord wrap to keep things out of the way. Rarely do you see a roll cage on compressors this small but this one has it for extra protection from falls. Even the control panel is well designed. The DeWalt D55140 delivers slightly better than average performance for its class and is rated at 0.75 SCFM at 90 PSI. This really isn’t enough airflow if you’re planning on framing out a new shed in the backyard, but that’s not what it’s designed for. The compressor maxes out at 135 PSI and combined with its small tank, you will not have to wait a long time for the recovery period. It only draws 2.6 amps so it’s very easy to get started in cold weather. Strangely enough, many people have reported that the fuse within the unit tends to blow at random times. It’s cheap and easy enough to replace, but definitely not an issue you’d associate with in a DeWalt. The pump is of the oil-free variety common to small air compressors. Almost no maintenance is needed to keep the DeWalt running. If you are not handy with repairs, you won’t have much to worry about maintaining the pump. 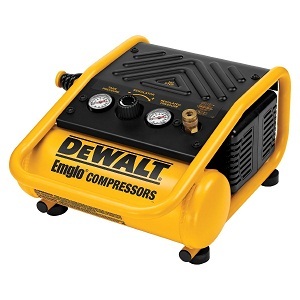 This is one of the quietest air compressors on the market. Small air compressors are known to be some of the loudest out there. Most of them have a decibel level of around 90 but the DeWalt D55140 puts out a relatively quiet 69 decibels. You won’t have to worry about damaging your ears when using this compressor inside or out. However, any time you use any noisy machinery, it does not hurt to wear ear protection. 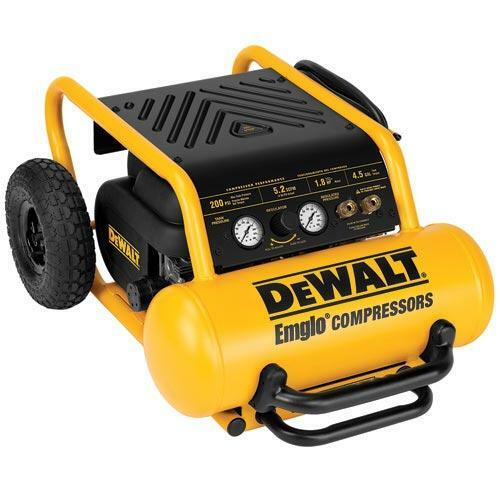 The D55140 would make for a good compressor for those needing to do small jobs around the house like inflating tires and kids toys or trim work. Those into crafts or airbrush work would be good candidates to buy the D55140 as are those who want a quiet air compressor. If you’re even thinking about using more heavy duty air tools such as a framing nailer, you will be best to look elsewhere. 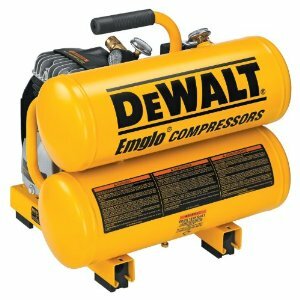 The DeWalt D55140 is a good product for anyone who wants a decent quality lightweight and quiet air compressor. But DeWalt has made it a bit more difficult for the average household user who just wants a simple compressor for small tasks because it does not include any accessories and the packaging makes that loud and clear. You will need to know that if you want to use this product, you will need to buy the hoses and attachments separately. 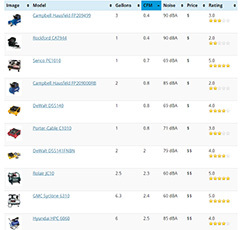 This will increase the price even more. While a little noisier and heavier, the Porter Cable C2002-WK also offers much better performance and includes an accessory kit.